Let’s face it: our democracy is on the line, and we must take back at least one house of Congress. The majority party in each house controls the agenda, vote actions, and committee chairs who in turn control committee agendas, votes, and subpoenas. All investigations, oversight, accountability, transparency, and legislative agenda are currently blocked by the Republican majority party in Congress. The Democrats need to win a majority party position in at least one house so that Congress can begin to do its job. In the House, +23 seats means, e.g. Rep. Adam Schiff investigating Russia’s attacks on our elections instead of Rep. Devin Nunes protecting the Trump campaign and Russia from law enforcement. In the Senate, +2 seats means not approving Supreme Court judges selected to reverse Roe v Wade. This 2018 election year, Democrats just need to turn out in high percentages to elect a Congress that will protect the country and hold the Executive branch accountable. We need a huge Democratic get-out-the-vote (GOTV) effort. 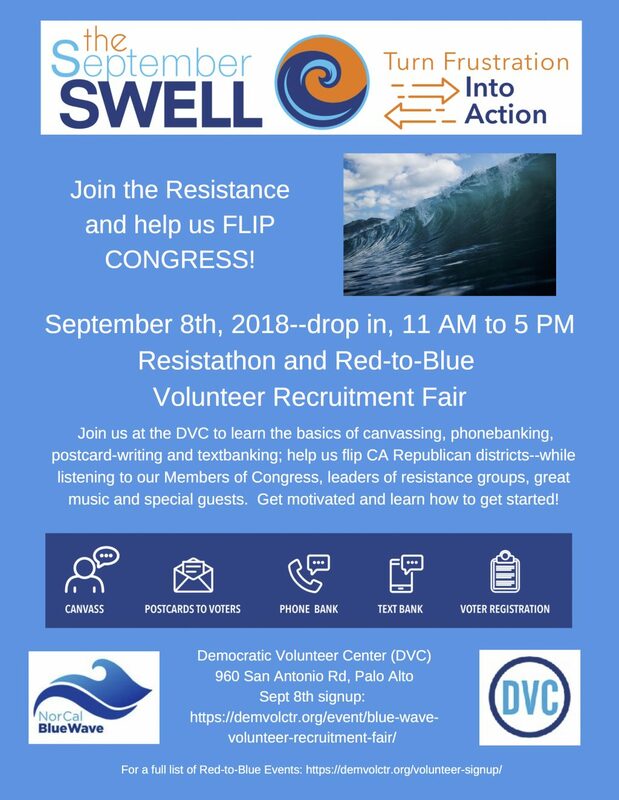 For more information, call the DVC at 650-618-4391, or email info@demvolctr.org.